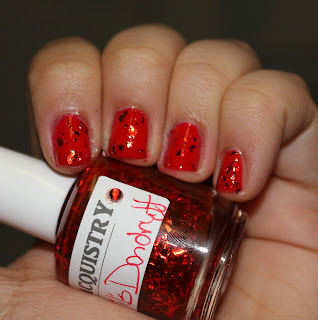 See Sarah Swatch: Lacquistry's Devil's Dandruff. Kay, done whoring out my giveaway, focus on polish. Specifically Lacquistry's Devil's Dandruff. When I looked at her Etsy shop, this was the one I knew I had to have. 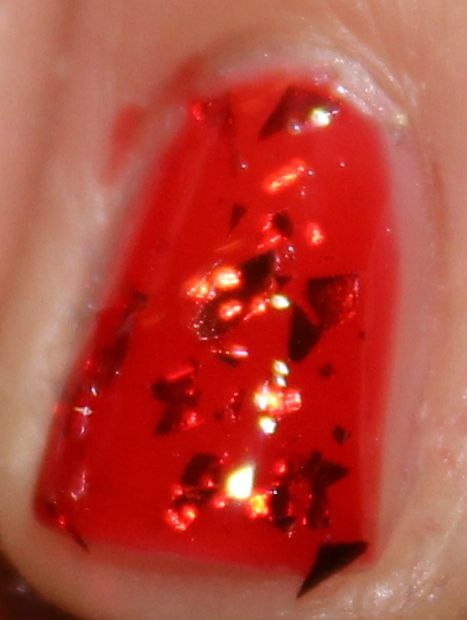 In fact, I already know I'm going to wear this as a full mani for my choir concert on Saturday:] It's festive and interesting enough to keep me occupied while staring at my nails during the lulls in the concert haha. 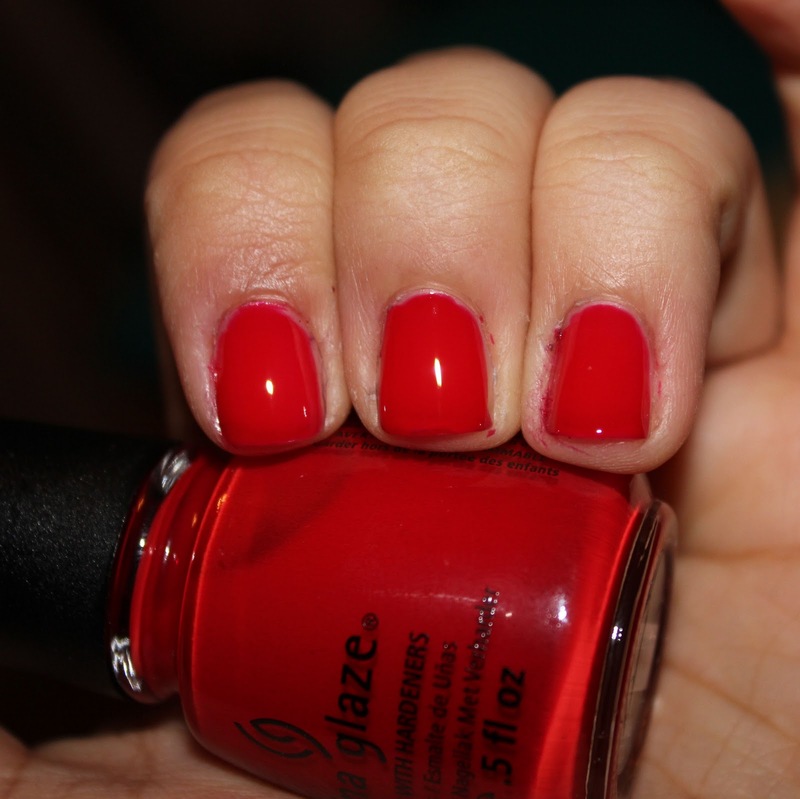 I was inspired to find a red that I liked after seeing stuff i (s)watched's swatches of OPI Wocka Wocka. I commented that I can't seem to like red polish on me, and Rach suggested to find a red I like & go from there! So I looked through my tiny red stash and realized I needed to try China Glaze Poinsettia from their 2011 Holiday Collection. I'm not sure why I picked this up, but I'm glad I did! 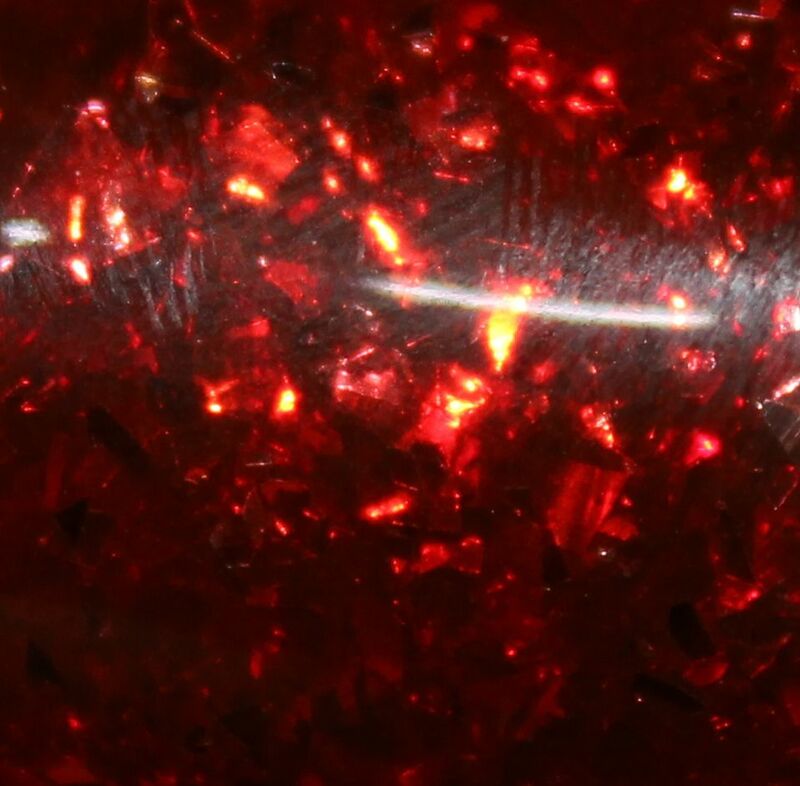 I like it in its own right, AND as a base for Devil's Dandruff (a red jelly with these great metallic-y red flakes) :] I have it here by itself on my pinky, and over Poinsettia on my first three fingers. This is Poinsettia on its own. Love the polish AND the name! Very fitting since this looks like little glowing embers! I'm not much of a red person either but the ones I wear most are the classic OPI I'm Not Really A Waitress and OPI Love Is A Racket for when I want a little glassfleck action haha. Can't wait to see full swatches of your Christmas franken, it looks awesome! I agree that your franken looks greats! I can't wait to see what else you come up with. 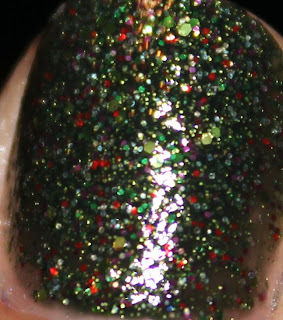 That Christmas franken looks super! That red looks good on you! I was just thinking about k2k's Hunt for Red last year -- here's a link and hopefully you'll get some ideas about what you'd like to try. :) You can always email me too.